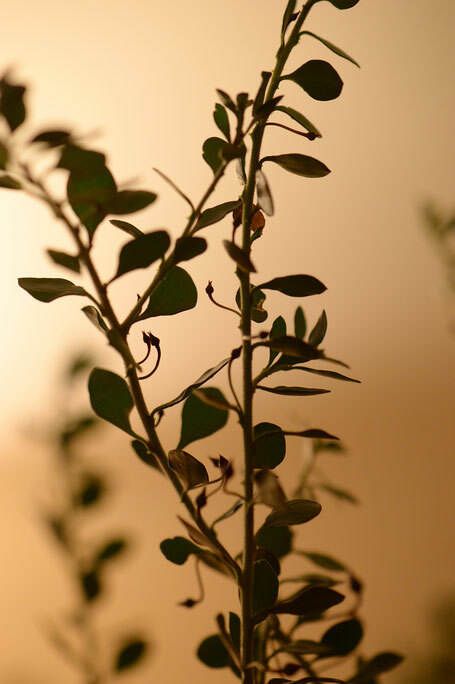 I also added branches from Eremophila maculata "Valentine". A close look shows that buds are just beginning to form along the stems. True to its name, it normally blooms some time in February here, but the swan-necked buds become decorative long before. All the stems ends were placed in newly boiled water. As it was a busy day, they stood for a long time in the water, enclosed in plastic to keep the humidity in, before I was able to arrange them this evening (hence the photos taken in artificial light). 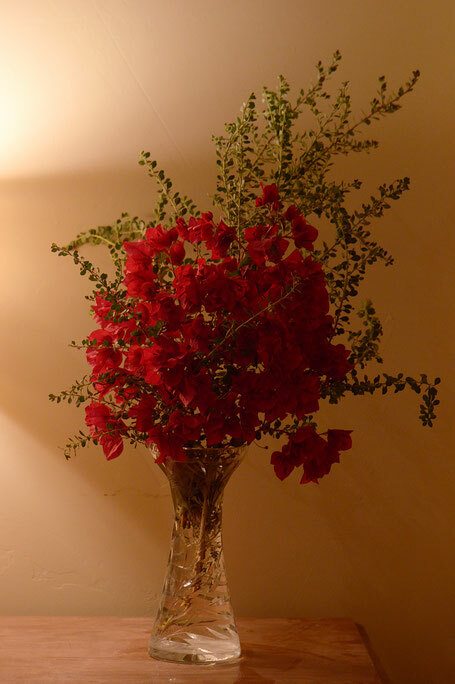 Thanks to my sister for kindly allowing me to use her vintage glass vase, which was just the right size after all...! Happy IVoM, and do check the other vases at Rambling in the Garden this week! 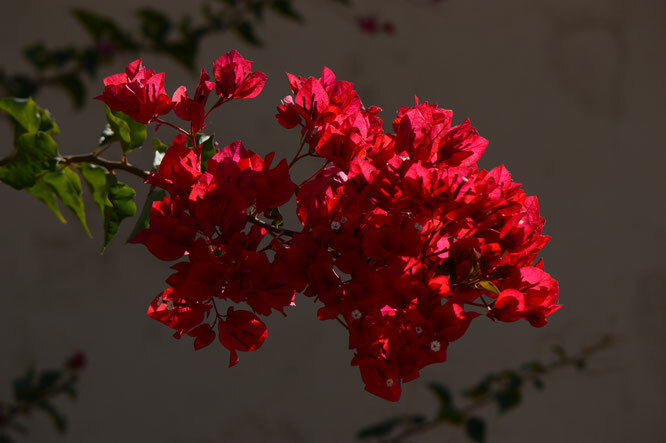 Here is the bougainvillea outside in this morning's sunlight! Oh my! 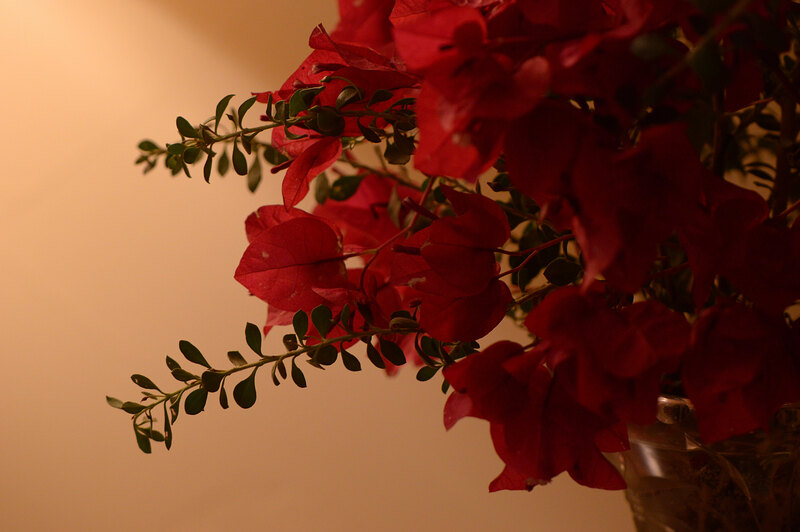 That is a most gorgeous display, Amy - what a delightful vase to be looking at day after day! How long do you thin the stems will last in water? 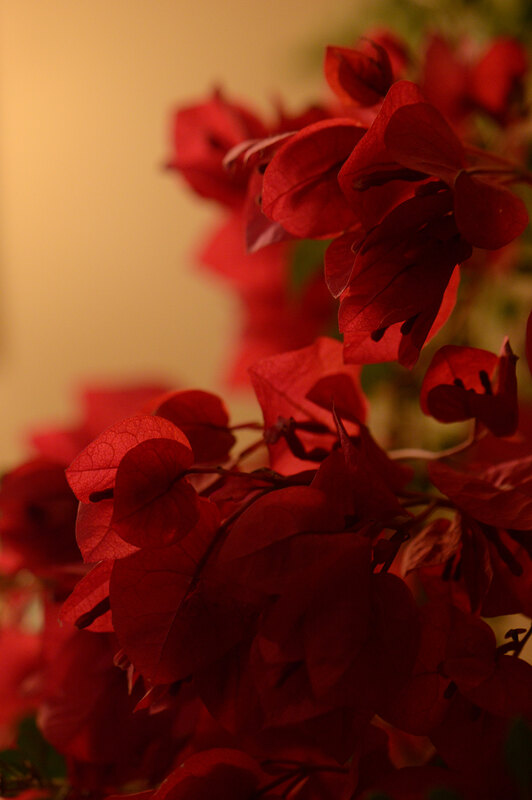 The Bougainvillea are beautiful in your vase, Amy. I'll be interested in hearing how long they last with the conditioning in boiling water too. I love to see Bougainvillea perhaps because it is a holiday plant for me. It would never survive in my garden.The outside shot is beautiful. Cathy@Words and Herbs - Thank you! :) The various Eremophilas have been a wonderful discovery for me with this garden, and I wish I could try each one that becomes available. The buds on this one get quite a bit larger and redder before they finally push out brilliant pink tubular flowers... one of the things I look forward to in spring now!